Teotihuacan flourishing fell on around 300 BC. Scientists believe about 200 thousand people inhabited the city at that time. The city area made up 26-28 square km. 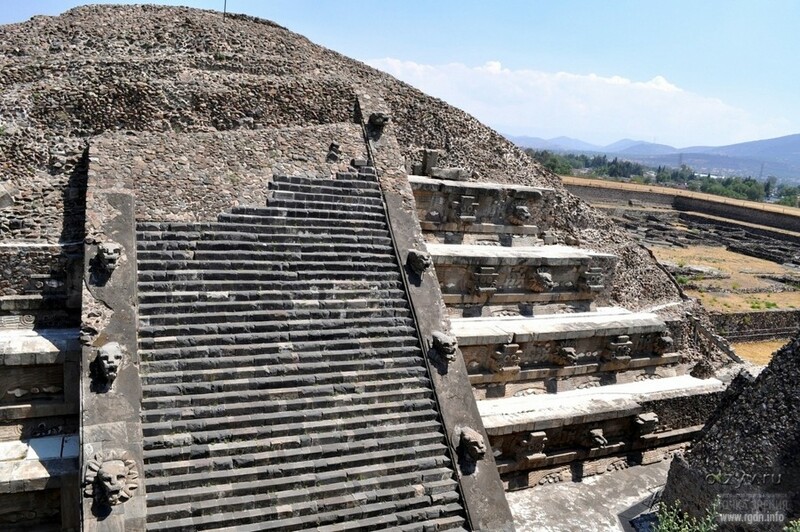 Teotihuacan was the largest centre of industry and trade, which is evidenced by a significant number of workshops – over 600. At that, most of the city dwellers were engaged in agriculture. Why is this city so famous and attracted our attention? 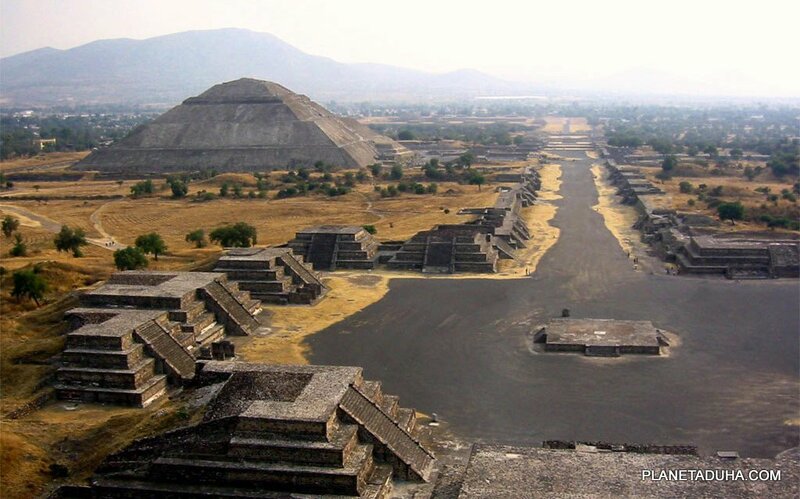 The so-called Avenue of the Dead runs from the Temple of Quetzalcoatl to the Pyramid of the Moon. It is 5 km long and 40 m wide. It’s interesting that the Avenue of the Dead is not oriented straight to the north, but diverges 15.5 degrees to the east. 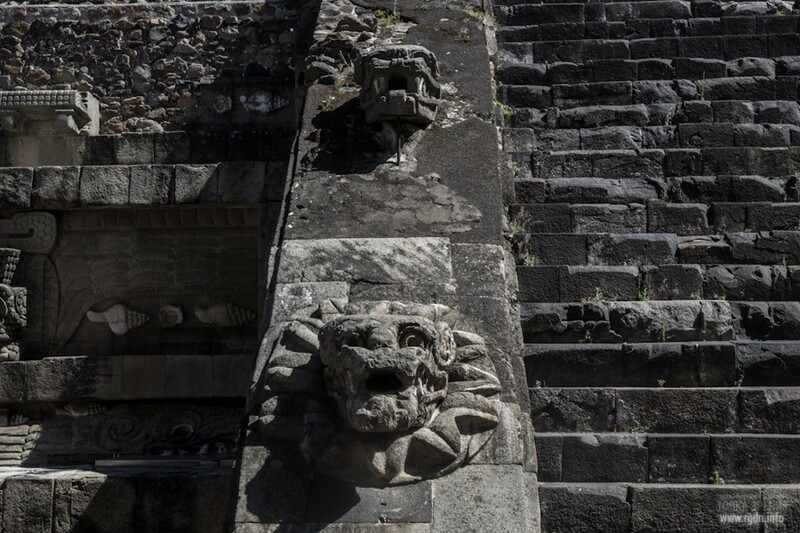 The city was allegedly neglected in the 7th century, and scientists still don’t know what the reason of Teotihuacan collapse was and why people abandoned it. In our opinion, certain historical details are quite interesting. Thus, when the city was constructed, high building technology was applied there. The main street is laid with absolute precision and runs straight for several kilometres, which indicates that laying and direction adjustment devices were used. The entire layout is based on declination from the north-south line by 15.5 degrees. 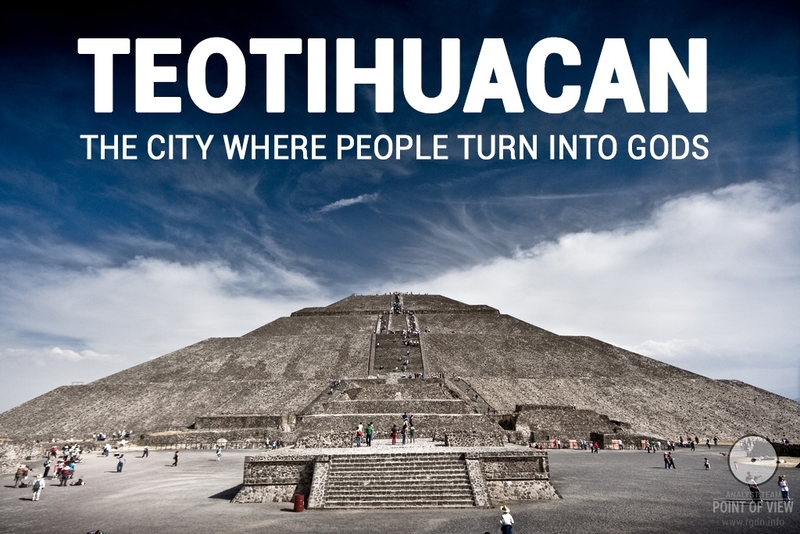 If we look at the globe and draw a line from Teotihuacan as extension of the Avenue of the Dead, such line will take us to the area where in earlier times (before the Flood) the North Pole was. Taking into account that the Pyramids of Giza are oriented at the current North Pole and an evident link is traced between the two complexes, the following hypothesis may be built: Teotihuacan was oriented at the pre-Flood North Pole. 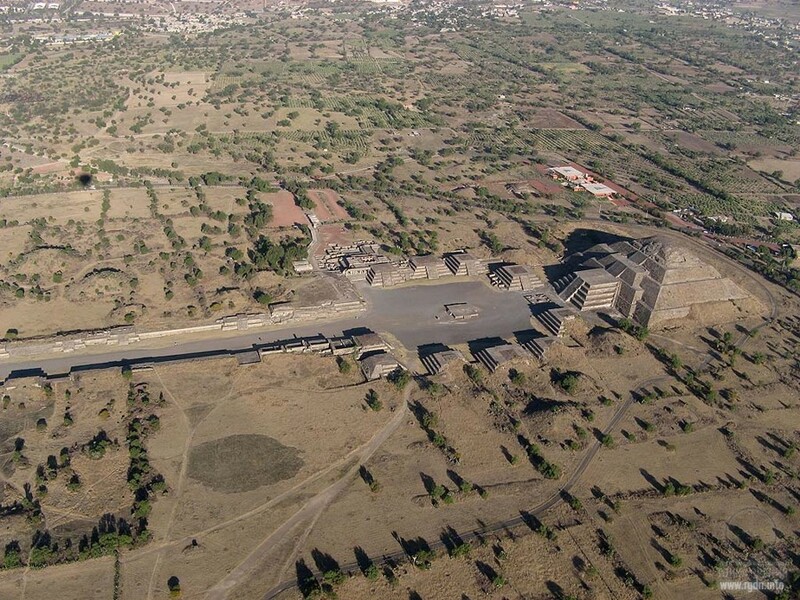 Hence, a bold assumption arises that the Teotihuacan complex was constructed before the Flood. Such legends obviously describe the Flood events. 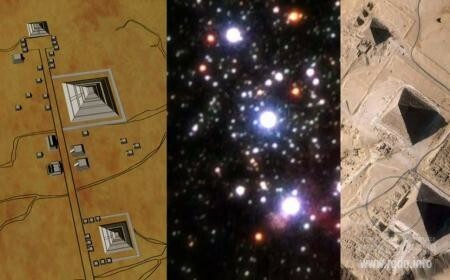 Hence, the city layout complies with a single plan, and the pyramids were hardly built much later than the Flood – most probably, they made up a single whole with all other structures of such kind and played a major functional role. 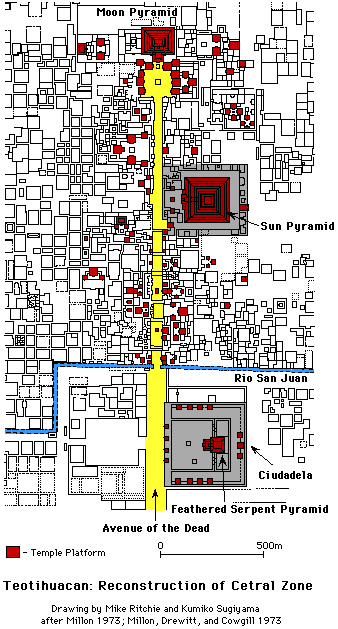 Moreover, given such alignment of Teotihuacan, it’s possible to determine the previous location of the North Pole more accurately: if the two complexes are tied to the geographic grid and so similar to each other, it would be logical to assume before the Flood Teotihuacan was at the same latitude as the Giza complex is situated today (relative to the North Pole). 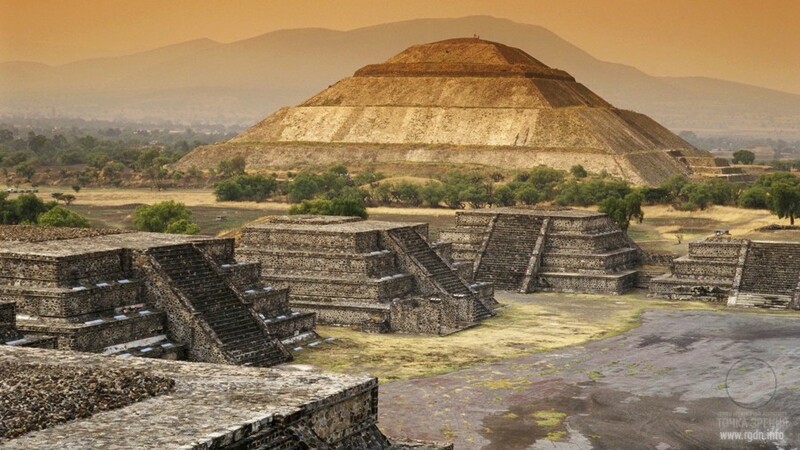 “Slippage” of the earth’s crust due to a meteorite fall, accompanied by the Flood and change of all coordinate alignments, caused the contemporary “absurd” declination of Teotihuacan by 15.5 degrees. If on such 15.5-degree diverged line we measure a distance from Teotihuacan equal to the distance between Giza and the current North Pole, we will get a point with approximate coordinates of longitude 51 west and latitude 71 north. In this very place the North Pole was before the meteorite fall (or another planetary disaster) that occurred in the 11th millennium BC and caused a severe cataclysm on the Earth’s surface, though taking into account possible estimation errors it would be reasonable to extend the area of the pre-Flood location of the North Pole by 2-3 degrees. 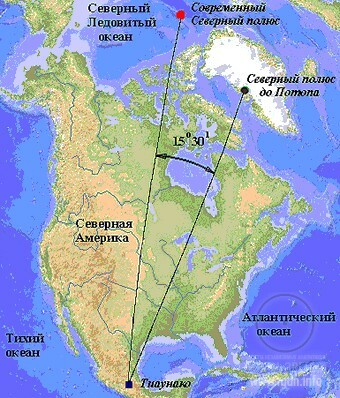 According to the researcher, traveller and alternative history supporter Andrew Sklyarov (author of Ancient Mexico without Distorting Mirrors), such hypothesis is supported by the fact that the Avenue of the Dead and the entire complex are oriented not straight at the North Pole, but along a line diverged by 15.5 degrees to the east relative to the precise north direction, which may be explained by the pole shift after the Flood. 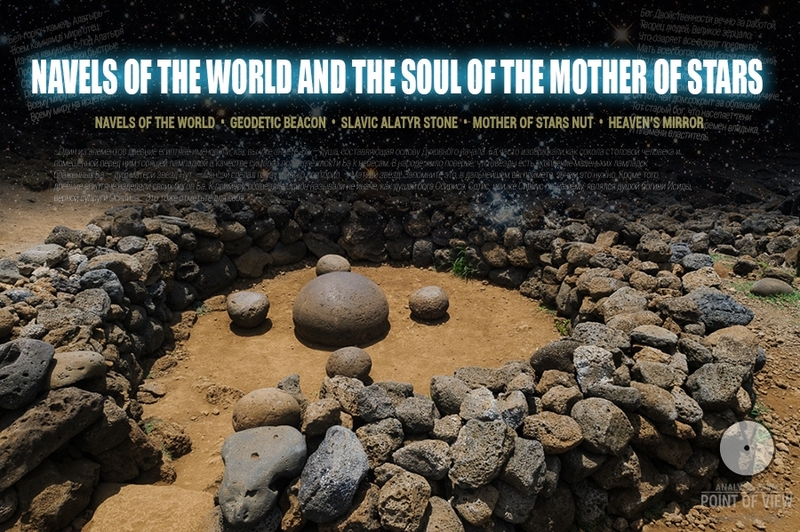 There is another hypothesis that Teotihuacan was built by a special plan: the Pyramid of the Sun, the Pyramid of the Moon, and the Temple of Quetzalcoatl are aligned with Orion’s belt at which the three pyramids in Giza are oriented as well. The Pyramid of the Sun is the third tallest pyramid in the world. It was constructed on remains of earlier buildings. It has 64.5 m in height and consists of 5 tiers. When the city was flourishing, the pyramid was 71 m high and had a temple on its top. The pyramid base is 894 m in perimeter. An interesting fact: if we divide the perimeter of 894 m by 71 and then by 4, we get the number π – 3.14. It turns out ancient civilizations were aware of the number π! 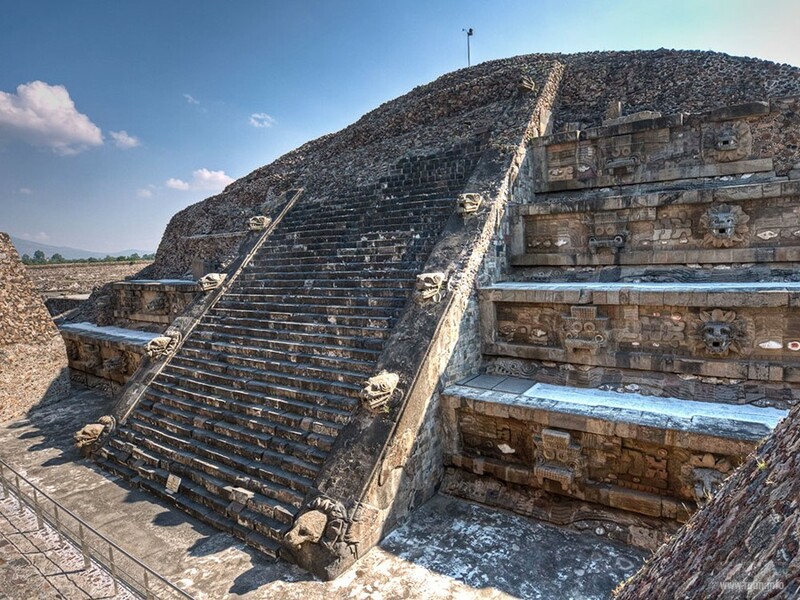 The ratio of the base perimeter of the Pyramid of the Sun in Teotihuacan to its height equals to 4 π (895/71/3.14=4). 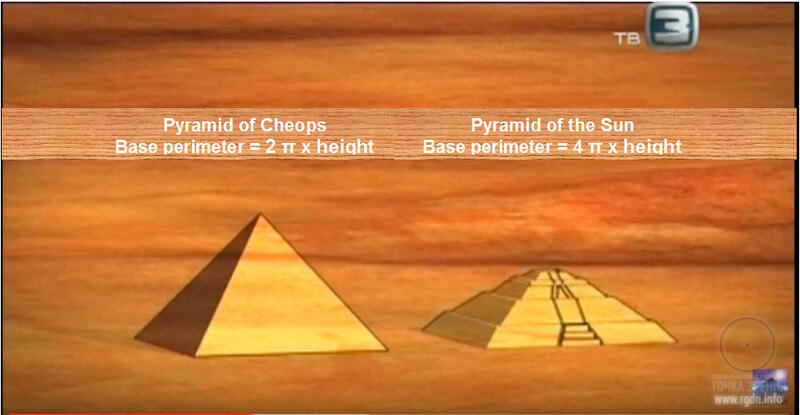 The ratio of the base perimeter of the Pyramid of Cheops in Giza to its height equals to 2 π (921.45/146.6/3.14=2). The Pyramid of the Sun is very similar to the Pyramid of Cheops in dimensions. The only difference is in height: the pyramid in Mexico is twice lower than that in Egypt. Under the Pyramid of the Sun, a cave and a 103-meter long underground tunnel were discovered. The tunnel coincides with the orientation and length of the pyramid stairway, thus it represents a mysterious mirror reflection of the outer building. 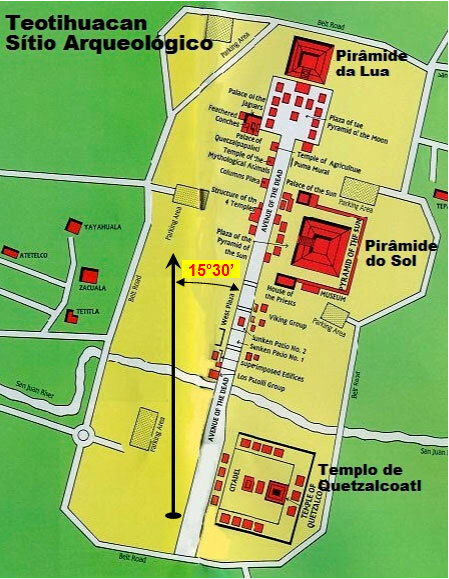 In the middle of Teotihuacan there are two streets oriented by cardinal directions. The Avenue of the Dead runs from the north to the south. At its northern end there is the Pyramid of the Moon. The pyramid has five tiers and a flat top. The pyramid base is 150 x 130 metres, and its height is 42 metres. 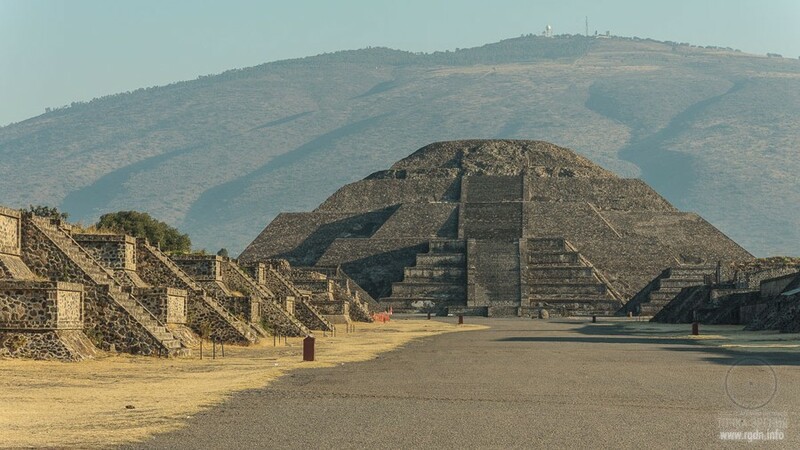 Although the net heights of the two pyramids are different, the Pyramid of the Moon was constructed on a specially prepared platform to compensate for the height difference, and so outwardly they look equally tall. Inside the Pyramid of the Moon an older pyramid was discovered, which is as if hidden inside. Inside the second pyramid there appeared to be the third pyramid, then the fourth – and seven times like this in succession! Thus, there is a sort of a matreshka (Russian doll) in architecture. 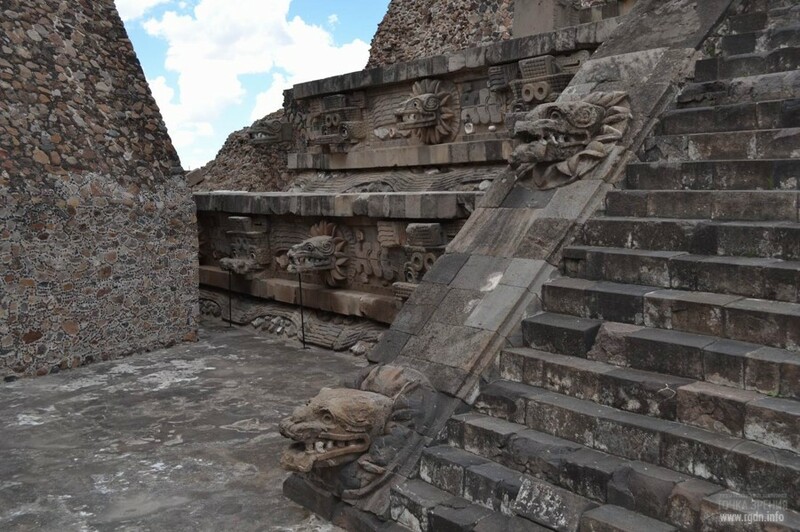 In the central square of Teotihuacan there is the Temple of Quetzalcoatl (other names – the Pyramid of the Feathered Serpent or the Pyramid of Quetzalcoatl). It represents a six-tier pyramid decorated with serpent heads which are the symbols of Quetzalcoatl or the Feathered Serpent. In the very middle of the central square, in front of the Pyramid of the Moon a statue of the Goddess of Water was discovered. 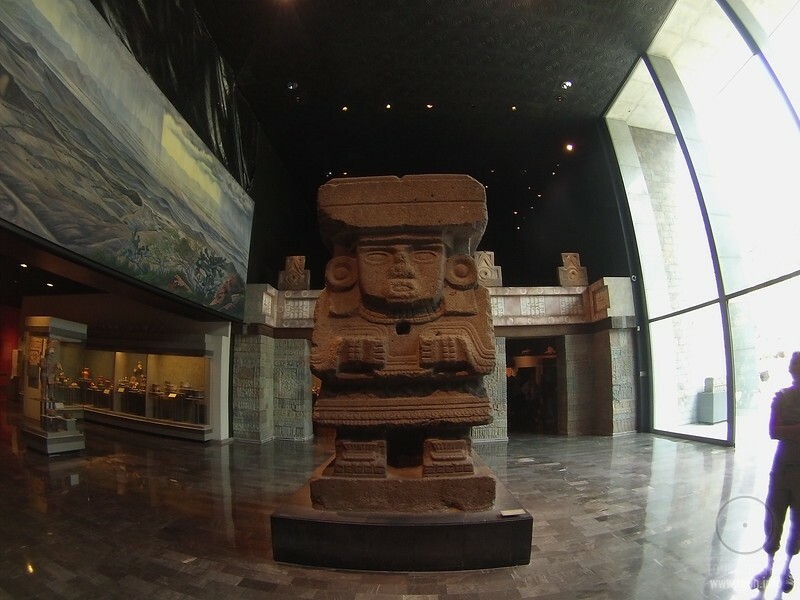 The statue is now kept in the National Museum of Anthropology in Mexico City. We can assume the Chinvat Bridge is meant here, which we already know a lot about. 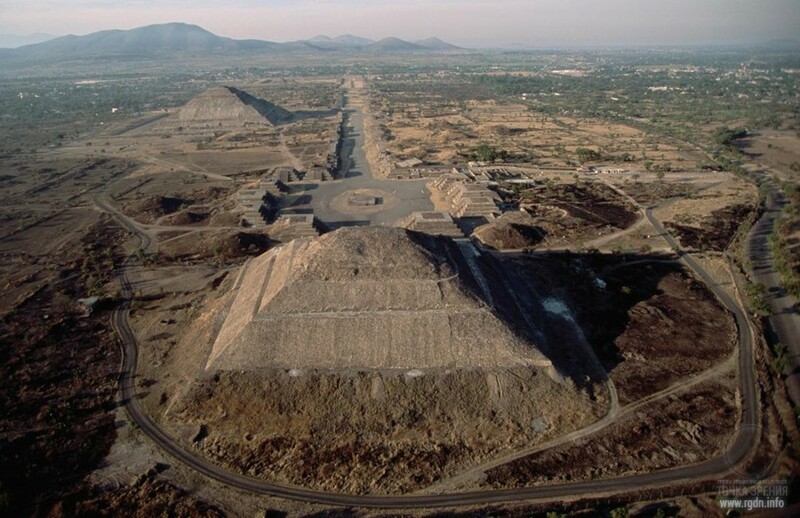 TEOTIHUACAN AND MICA: WHERE FROM AND WHAT FOR? In the complex territory near the Pyramid of the Sun, underground premises were found during excavations, where the floor is paved with mica plates and covered with concrete. Note: mica is a shiny silicate mineral with a layered structure, found as minute scales in granite and other rocks, or as crystals. 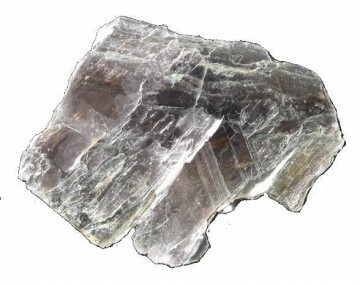 Being impervious to water, heat and electric current, mica is used as an insulator in various chemical processes, as well as in electrical and electronic devices. In recent years this material started to be applied in nuclear and space technologies. It’s noteworthy that in Teotihuacan area there are no mica deposits. How can the correspondence between geometric correlations of the Pyramid of the Sun in Teotihuacan and the Great Pyramid of Giza be explained? How could ancient Indians know about the number π? Why is the Avenue of the Dead oriented not straight at the North Pole, but along a line diverged by 15.5 degrees to the east relative to the precise north direction? For which purpose were the streets and floors in houses and temples concreted? What was the purpose of the system of drainage channels and running-water reservoirs? Why did the city inhabitants cover houses and temples with earth? Which tools were used for treating stone blocks on the Pyramid of the Sun surface, taking into account the traces of machine cutting on those blocks, and their plane sides? 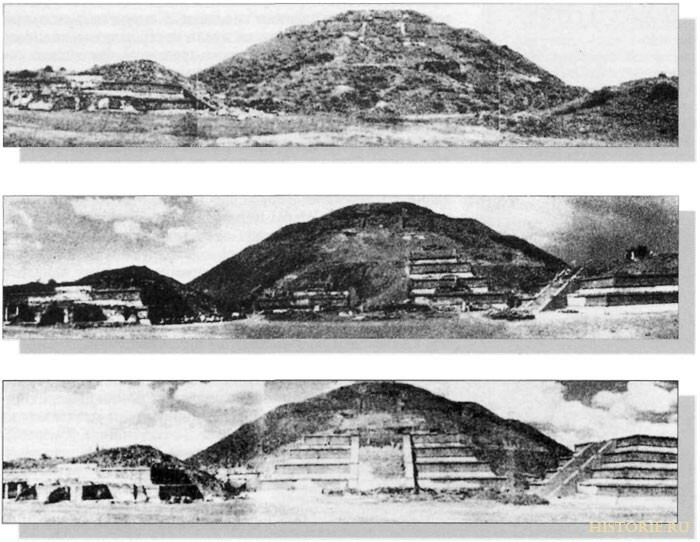 For which purpose did the builders of Teotihuacan place a layer of mica between the two upper tiers of the Pyramid of the Sun? What was the function of the MicaTemple in Teotihuacan? 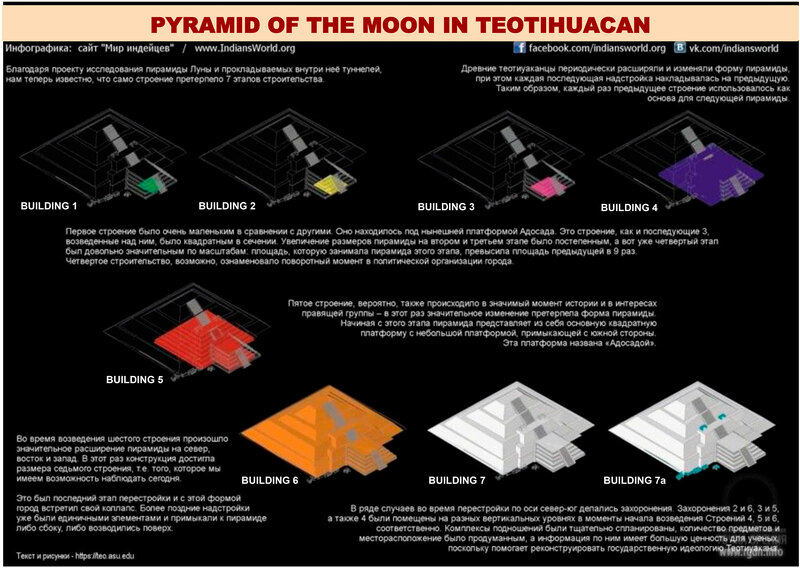 Why were seven smaller pyramids built inside the Pyramid of the Moon? When, by whom and for which purpose was a crypt arranged in the underground tunnel under the Temple of Quetzalcoatl? Based on numerous facts (dirt, shift, impossibility to determine the exact age of the treated stones, etc. ), we admit the city is much more ancient and dates back beyond the much talked-about term of 12.5 thousand years, i.e. to the pre-Flood times. This is exactly evidenced by earth-covered houses of the city dwellers. Concreted floors in the complex evidences that local inhabitants were familiar with the concrete making technology. Numerous questions are provoked by the MicaTemple, where mica is laid inside the masonry. What was the purpose of this building? One of hypotheses: it was a heat and electric insulator, an inhibitor of nuclear reactions or protection against certain kinds of radiations which we are not aware of yet. 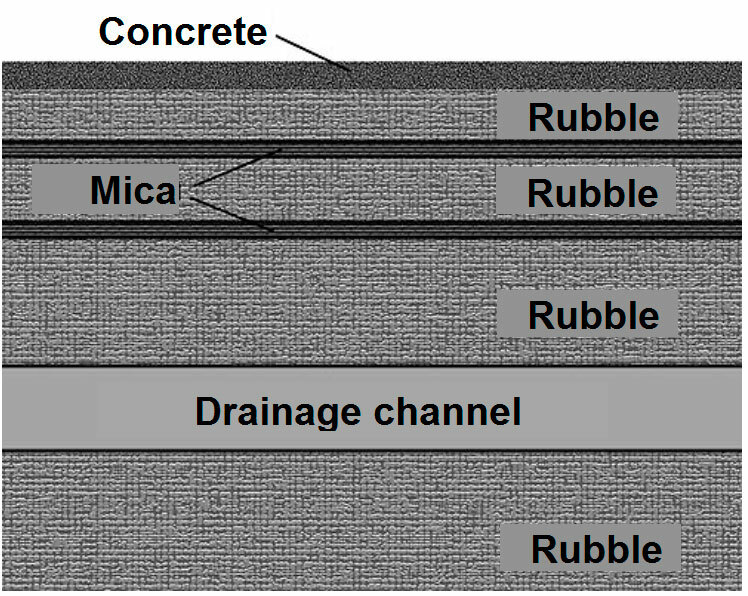 A system of drainage channels runs through all premises. Historians believe by these channels water was supplied from sources and springs to the entire city. 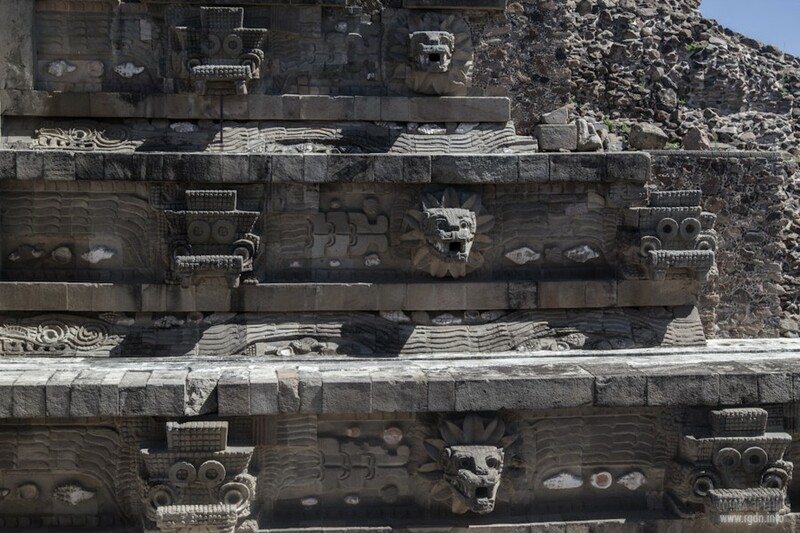 Perhaps, the complex of Teotihuacan represents a certain specialized hydrotechnical system, since in ancient times the city had a system of channels. Such hydraulic system ensured water flow to LakeTexcoco situated 16 km away from the city. There is an assumption that constructors of the Giza complex in Egypt and the complex in Teotihuacan, Mexico, used one and the same system of measurement. 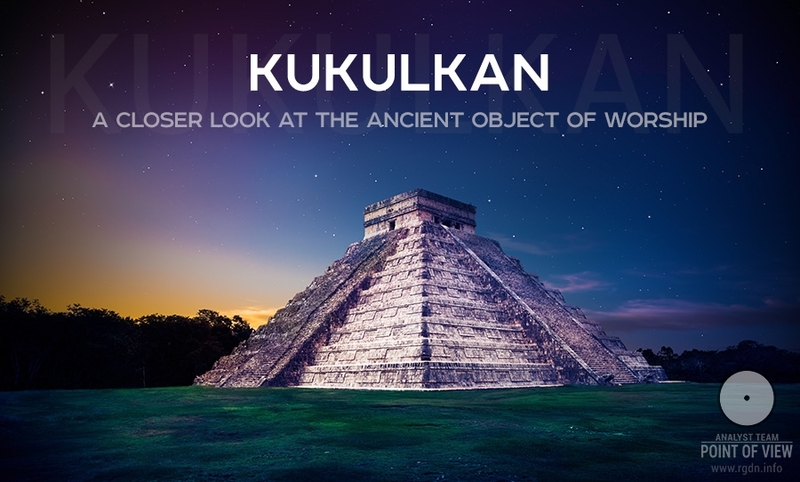 Should we analyze dimensions of the buildings and distances between them, we can identify a “standard unit of measurement” applied by Teotihuacan constructors: it’s called hunab and equals to 1.059 metres. The “king’s cubit” used by constructors of the pyramids in Giza equals to 52.5 centimetres. Thus, 1 hunab equals to 2 king’s cubits. Whether it’s a coincidence or consistency you should decide for yourselves. Perhaps, designers of both pyramid complexes were representatives of one and the same pre-Flood civilization? 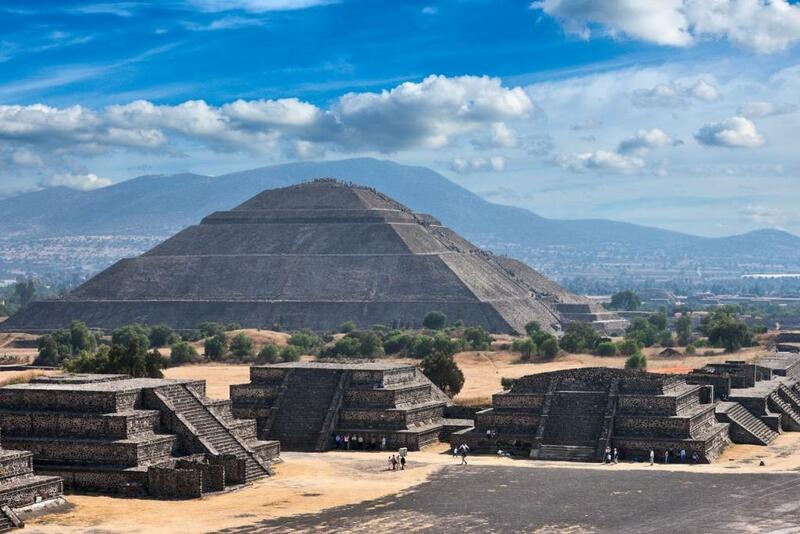 Teotihuacan and Egyptian pyramids are a marvellous example of geometrical, mathematical and astronomic mysticism. It’s also interesting to note a similarity between the names of Mohenjo Daro (the “Mound of the Dead Men”) and the Avenue of the Dead in Teotihuacan, as invented by scientists. A feeling arises that it was done deliberately to provoke a repulsive impression. We already understand who did this and why. It may also be traced that the complex constructors were aware of the 72 dimensions. 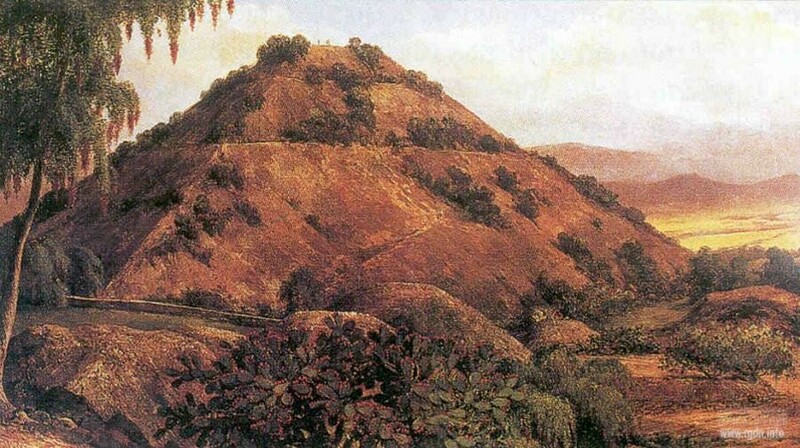 The initial height of the Pyramid of the Sun prior to the ruin of its top was about 72 metres. May we regard as a mere coincidence that the Pyramid of the Sun and the Great Pyramid of Giza have the same base size? And what about the fact that the angle of 43.5 degrees chosen by pharaoh Djoser for his stepped pyramid was precisely reproduced in Teotihuacan? Hardly these are coincidences. A flatter angle of 45 degrees could have been ensured by a less experienced architect by means of ordinary division of the right angle (90 degrees) in two, whereas the angle of 43.5 degrees was obtained in Egypt as a result of complex calculations with the number π (= about 3.14) representing a ratio of the length of a circumference to its diameter. During the city excavations it turned out its houses and temples were covered with earth. A mighty tsunami could have been responsible for such “burial” of the houses and temples, which tsunami could have been caused by flood. This provokes an idea that the pyramids in Teotihuacan were built by an advanced civilization more than 13 thousand years ago. Finally, all the aforesaid indicate that a highly developed civilization inhabited this place in ancient times, and it’s another confirmation of Rigden Djappo’s words! 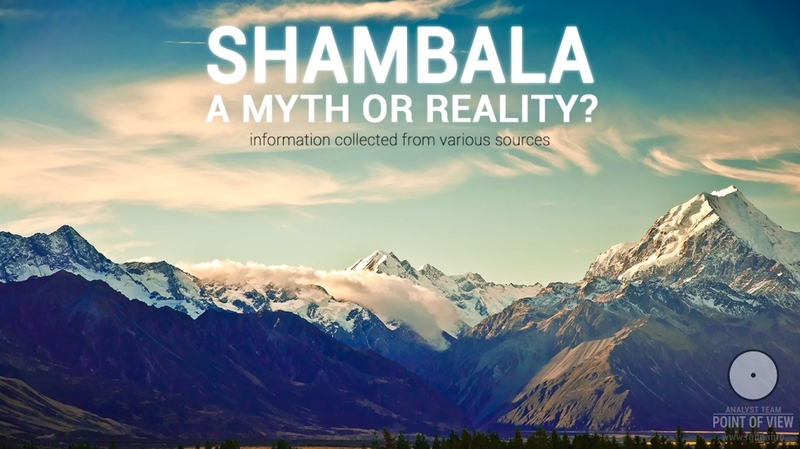 There are a lot of artefacts proving that in ancient times before our current civilization there were more technologically advanced human civilizations, and with every year the collection of facts which are “unfavourable” for the system is being enlarged with new discoveries and finds from different corners of the world. 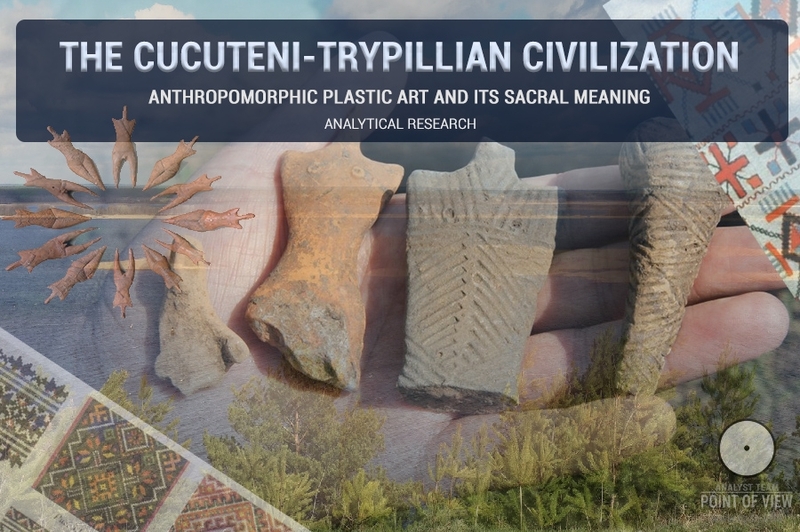 For example, today we have irrefutable tangible evidence that 140 million years ago there was a highly advanced civilization which had surpassed the present-day civilization in technological development many times. But will these facts change the fate of today’s system of consumer society? No, because everything will end up with a trite consumer curiosity of the “lower” classes and a desire of the “upper” classes to create a new type of instrument of power, intimidation and manipulation of the lower classes. Note that people will not become free of their own sufferings created and multiplied by the system. But everything will change if people start to wake up spiritually and change themselves and the world around in the direction of spiritual and moral development of the society though their everyday deeds. We have all the knowledge and opportunities for that! Remainders of the previous scientific heritage of early advanced civilizations can be traced back even through the most famous pages of the recent past – the civilizations of ancient Egypt, Sumer, India, from which, as believed in official history, “development of the contemporary human civilization began." Suffice it to study the numbers and calculations they used, as well as the tables, equipment and technologies they had. All this presupposes the knowledge of such sciences as algebra, geometry, astronomy, physics, and chemistry. Ancient Greeks whom modern science considers an authority directly mentioned in their works that they had got much of their knowledge while travelling to the East, namely, to Egypt. In this country, the ancient science of calculations was considered to be a perfect and thorough study of all objects, providing an understanding of their essence, contributing to the cognition of their secrets. “The thing is that in fact we are only approaching exploration of our possibilities, while at the beginning of this civilization people, having a high potential of their mental abilities, on the contrary degraded, that is they went from their high achievements to smaller ones. It’s normal as those isolated groups were remnants of the previous highly developed civilization. Later on their descendants lost the former abilities and knowledge, so to say fully degraded, and they started from the beginning again.